Old barns just draw me in.... Beautiful time worn pieces of art. Picture taken at NaDa Farms. 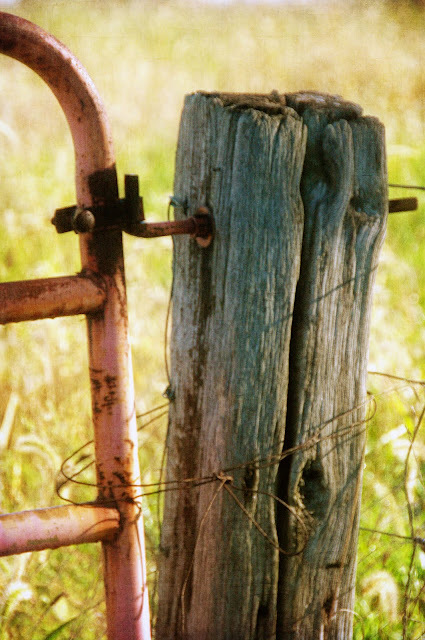 There is something so beautiful about old metal gates, wooden fence posts and rusty wire. Picture taken at a local field leading up to an old barn. Fabulous work. 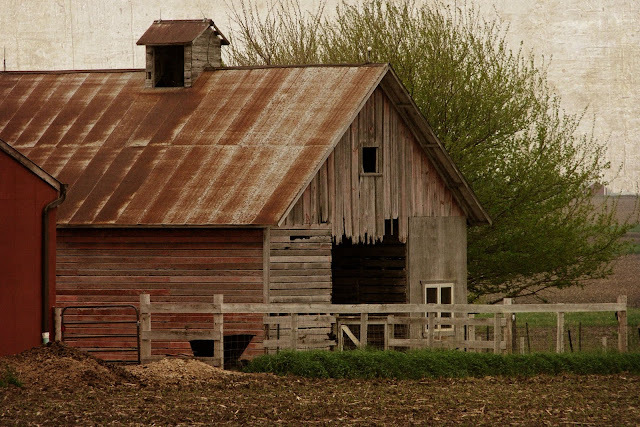 Barns are 'time worn pieces of art' - especially for a true artist. I'm a country girl and these really speak to my heart. The barn is really beautiful and your texture work is gorgeous. You don't see many barns where I live, so I am pleased to see yours. I love barn photos! These are beautiful and the textures look wonderful. I love what you are doing with the Kim Klassen textures. Of course, it is all Greek to me! Some day...maybe some day, I will learn to use an SLR! And then Photoshop, though I do have Elements (and don't quite understand it!). The barn is so beautiful. You have changed barns and roosters for me forever! After all, I grew up in South Dakota. I should start honoring their beauty! Beautiful!!! I have been loving your photography! Everything you do is gorgeous!! I love old fences too-the textures just really work with them-great job. I love photos of old barns. What great shots and great work with the textures. Sheila your pictures are gorgeous!!! I too love to photograph old barns and Anne Marie's is so beautiful! looks gorgeous. i love her crib. and i love that you captured that side of it.